Baubox sharpens the spatial awareness of toddlers and children. 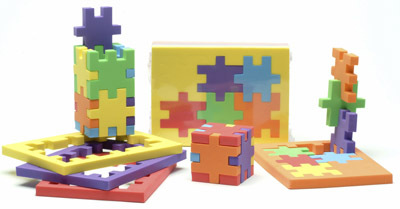 It is an extremely easy model of Happy Cube 10 mm thick pieces, well suited for pre-school kids. Baubox comes in a 4-pack.